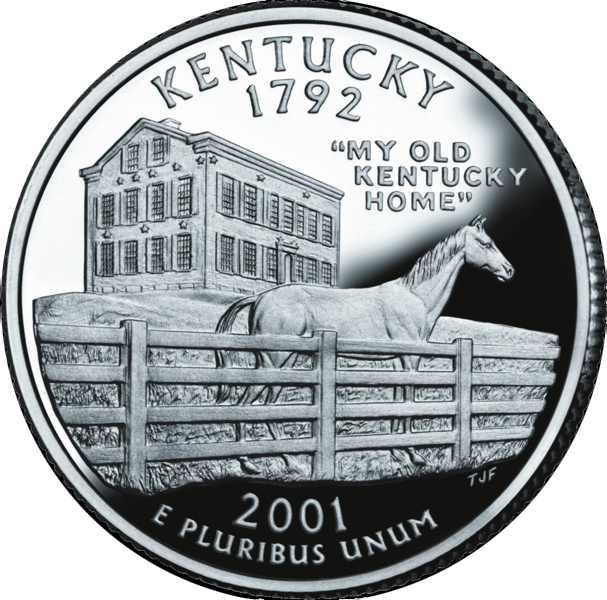 The U.S. Mint's bicentennial commemorative quarter for Kentucky features a thoroughbred racehorse (state horse), the historic Federal Hill mansion in Bardstown, and the title of Kentucky's state song: "My Old Kentucky Home." Kentucky became the 15th state in 1792. Public domain image on Wikipedia. 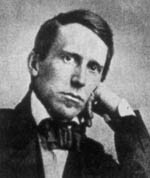 Stephen Foster (1826-1864); public domain image on Wikipedia.